At the 39th FIG General Assembly 2016 2 and 6 May 2016 during the FIG Working Week in Christchurch, New Zealand the General Assembly had to elect two new Vice Presidents and the venue for the Working Week 2020. 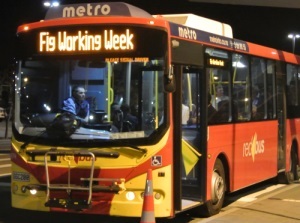 FIG organised its yearly Working Week 2016 2-6 May in Christchurch, New Zealand hereunder the 39th General Assembly. The week was busy with meetings and many technical sessions during the conference. The local hosts had done their utmost to organise a very successful event. During the General Assembly two new Vice Presidents were going to be elected. Outgoing Vice Presidents were Pengfei Cheng from Chinese Society for Surveying, Mapping and Geoinformation, CSSMG and Bruno Razza, National Council of Italian Surveyors. At the first voting round Mikael Lilje, Swedish professionals for the built environment was elected, and at the second voting round there was a close run between Orhan Ercan and Yerach Doytsher. Most votes were given to Orhan Ercah. The new team of Vice President for FIG President Chryssy Potsiou for the term 2017-18 is therefore: Rudolf Staiger, Diane Dumashie, Mikael Lilje and Orhan Ercan. The voting for the venue for Working Week 2020 was another exciting and close run between Amsterdam, the Netherlands and Interlaken, Switzerland and resulted in a victory to Amsterdam. Report of the Working Week and the Geenral Assembly will be posted soon.